September 19, 1921: The Stacy-Trent opened for business. September 21, 1921: The Stacy-Trent had its formal opening. More than 1,500 guests dined, danced and strolled the rooftop gardens overlooking Stacy Park and the Delaware River. 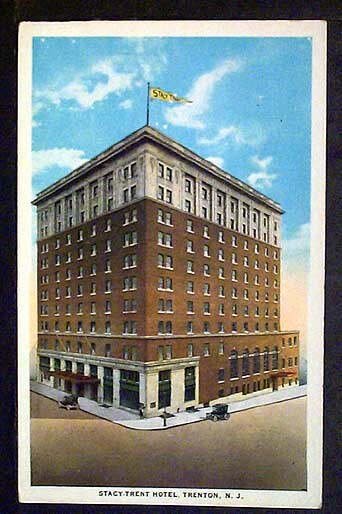 1921-1934: The Stacy-Trent was leased to the United Hotel Company. 1934: A copy of Adolphe William Bouguereau's "Nymphs and Satyr" was placed in the tap room, which came to be known as the Nymph Room. It was unceremoniously removed in November, 1948 as part of the room's "new look," and the painting was crated and placed in the hotel boiler room. 1934-1946: The Stacy-Trent was leased to Robert M. Meyer, owner of a chain of hotels. 1946: The Stacy-Trent is bought by Maxwell Abbell of Chicago for $900,000. 1946-1948: The Stacy-Trent was leased to Albert W. Stender and Otto H. Waechter. 1948: Stender and Waetcher buy the Stacy-Trent, at a price said to be in excess of $1,000,000. 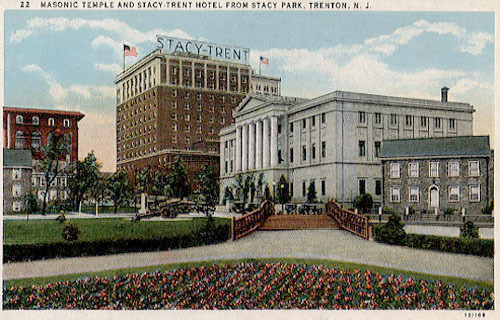 July 20, 1950: The Stacy-Trent and the Robert Treat Hotel in Newark are sold to the Knott Corporation for a reported price of $2,500,000. September 13, 1958: The Stacy-Trent is sold to a Trenton syndicate, McPherson Operators, Inc., for an approximate price of $1,000,000. March, 1960: McPherson Operators, Inc. announces plans to convert the hotel's main lobby and lounge into new ballrooms. When construction was completed in January, 1961, the Stacy-Trent had 11 meeting and banquet rooms, with a total capacity of 2,380 for meetings and 1,650 for banquets. June 24, 1962: McPherson Operators, Inc. files a petition to reorganize under Chapter 11 of the Bankruptcy Act. At the bankruptcy hearing, it is revealed that the hotel has 150 creditors and is operating at only an $800 a month profit. July 17, 1963: More than 100 Stacy-Trent employees walk off the job in what management describes as a "wildcat strike." The strike ended after eight days. 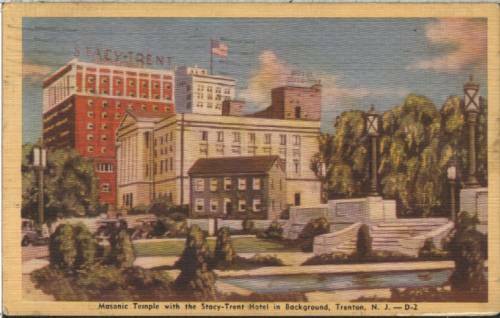 October 16, 1963: The Trenton Chapter of the National Office Management Association (NOMA) moved its meetings to the Stacy-Trent as part of a "save-the-hotel" campaign. 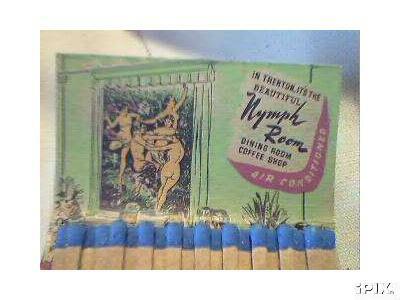 November, 1963: Cherry Tree Lane Inc., a Trenton corporation, submitted a conditional offer to buy the Stacy-Trent. 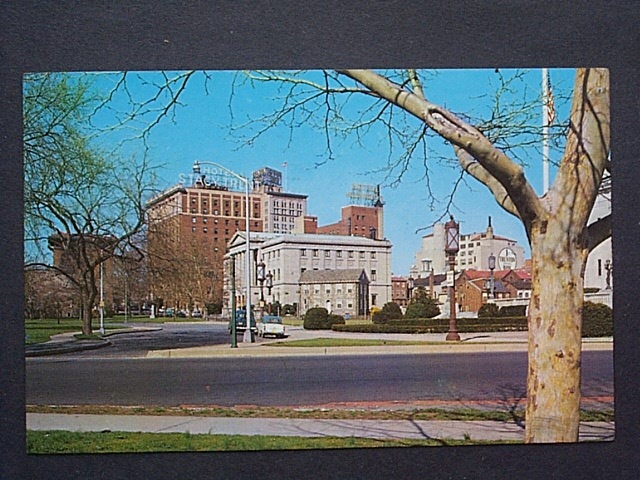 Cherry Tree would attempt to buy the hotel for the next three years, and took several options on the property, the last of which expired in July, 1966, but ultimately all plans fell through. March 1, 1965: The Stacy-Trent closed its doors. The buildings' commercial tenants would all vacate by years' end. September 21, 1966: The Stacy-Trent is purchased by Massachusetts Mutual Life Insurance Company, Inc., at the county sheriff's sale for $385,000. May, 1967: Items from the Stacy-Trent are auctioned. September-October, 1967: The Stacy-Trent is demolished.